Rowan County is a county located in the U.S. state of North Carolina. As of 2000, the population was 130,340. Its county seat is Salisbury. The county was formed in 1753 from the northern part of Anson County. 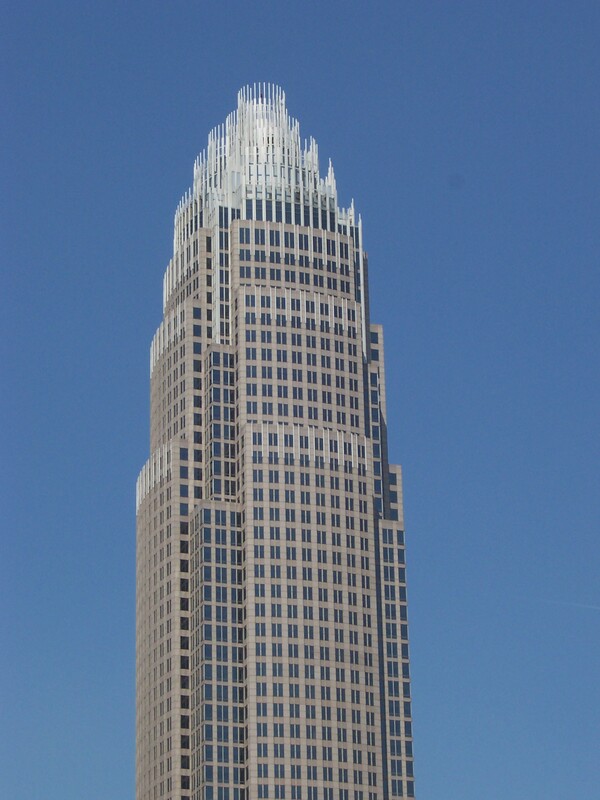 It was named for Matthew Rowan, acting governor of North Carolina from 1753 to 1754. Originally, Rowan County was a vast territory with an indefinite western boundary. Reductions in its extent began in 1770, when the eastern part of it was combined with the western part of Orange County to become Guilford County, North Carolina. In 1771 the northeastern part of what remained of Rowan County became Surry County. In 1777 the western part of Rowan County became Burke County. In 1788 the western part of the now much smaller Rowan County became Iredell County. In 1822 the eastern part of the still shrinking county became Davidson County. Finally, in 1836 the part of Rowan County north of the South Yadkin River became Davie County. The "250 Fest" celebrating the 250th anniversary of Rowan County occurred in 2003. Actor Sidney Blackmer was born and raised in Salisbury. Former U.S. Senator Elizabeth Dole is from Salisbury. Phil Kirk, former chairman of the North Carolina Board of Education, is a Rowan native. American Legion Hall Of Fame/ USSSA Softball Hall Of Fame/ Owner of Garys BBQ Gary Ritchie, is from China Grove. Tony Rowell, drummer of Honeywagon, was born in Salisbury. Rowan County is a member of the regional Centralina Council of Governments. According to the U.S. Census Bureau, the county has a total area of 524 square miles (1,357 km²), of which, 511 square miles (1,324 km²) of it is land and 13 square miles (32 km²) of it (2.40%) is water. The county's eastern border is formed by the Yadkin River. North of Ellis Crossroads, the South Yadkin River meets the Yadkin. The South Yadkin forms the county's northern border, with Davie County. The southern border is an east-west line that bisects the city of Kannapolis. Interstate 85 passes through the county from southwest to northeast. In the early 2000s, I-85 underwent an extensive widening in the central and northern part of the county, from exit 68, US 29 Connector north almost to the Davidson county line. A new bridge over the Yadkin River is planned. U.S. Route 70 enters the northwestern part of Rowan county, west of Cleveland. It runs southeast into Salisbury, where it follows Jake Alexander Boulevard to the southeast and then joins US 29 North as Main Street. US 70 continues northeast as Main Street and then Salisbury Avenue in Spencer before crossing into Davidson County. U.S. Route 29 forms Main Street in Kannapolis, China Grove, and Landis in the southern part of the county. It joins US 70 as Main Street through Salisbury, and as Salisbury Avenue in Spencer. U.S. Route 52 is the main artery for the southeastern part of the county, serving the towns of Gold Hill, Rockwell and Granite Quarry. Just before reaching downtown Salisbury, US-52 joins Interstate 85, which it follows into Davidson county. As of the census of 2000, there were 130,340 people, 49,940 households, and 35,507 families residing in the county. The population density was 255 people per square mile (98/km²). There were 53,980 housing units at an average density of 106 per square mile (41/km²). The racial makeup of the county was 80.02% White, 15.78% Black or African American, 0.33% Native American, 0.85% Asian, 0.03% Pacific Islander, 2.00% from other races, and 1.00% from two or more races. 4.12% of the population were Hispanic or Latino of any race. There were 49,940 households out of which 32.40% had children under the age of 18 living with them, 54.80% were married couples living together, 11.90% had a female householder with no husband present, and 28.90% were non-families. 24.70% of all households were made up of individuals and 10.20% had someone living alone who was 65 years of age or older. The average household size was 2.52 and the average family size was 2.98. In the county the population was spread out with 24.70% under the age of 18, 9.10% from 18 to 24, 29.80% from 25 to 44, 22.50% from 45 to 64, and 14.00% who were 65 years of age or older. The median age was 36 years. For every 100 females there were 97.60 males. For every 100 females age 18 and over, there were 95.30 males. The median income for a household in the county was $37,494, and the median income for a family was $44,242. Males had a median income of $31,626 versus $23,437 for females. The per capita income for the county was $18,071. About 8.10% of families and 10.60% of the population were below the poverty line, including 13.70% of those under age 18 and 11.40% of those age 65 or over. The county is divided into fourteen townships: Atwell, China Grove, Cleveland, Franklin, Gold Hill, Litaker, Locke, Morgan, Mount Ulla, Providence, Salisbury, Scotch Irish, Steele, and Unity. Rowan County is also notable for its winemaking. Located near Salisbury is the famed Old Stone Vineyard and Winery, built by members of the Cruse family in 1943. The winery is one of the largest in the state producing quality muscadine and French recipe wines. The winery is also the historic site of the "Old Stone House" built by German immigrant Michael Braun in 1766 and the Beth Sadeh Synagogue. ^ "Rowan Emergency Services". 2009-11-16. http://wwwapps.rowancountync.gov/es/I85/i-85.htm. Retrieved 2010-04-12. ^ "Office of the Governor of North Carolina". 2009-03-12. http://www.governor.state.nc.us/eTownhall/Blog/post/2009/03/12/Yadkin-River-Bridge-Replacement.aspx. Retrieved 2010-04-12. This page uses content from the English language Wikipedia. The original content was at Rowan County, North Carolina. The list of authors can be seen in the page history. As with this Familypedia wiki, the content of Wikipedia is available under the Creative Commons License.